Triphala is one of the most well-known formulas of the Indian medicinal system Ayurveda for supporting the normal function of the lower digestive system. 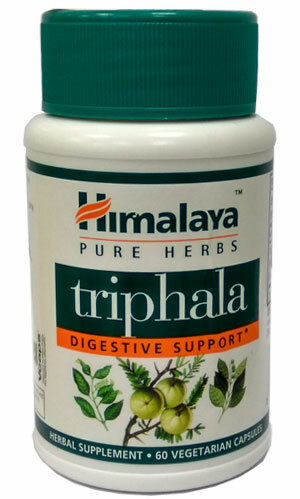 Triphala supports normal detoxification of the intestinal tract and normal bowel movements. It has been used traditionally for occasional bloating, sluggish digestion, and food sensitivities. One capsule per day before food or as directed by your physician.